Sell Your House Fast In Chandler! We Buy Houses In Chandler and Throughout Arizona! Do You Need To Sell Your House Fast For Cash? We Can Help. We Buy Properties Anywhere In The Chandler Area. Check Out How Our Process Works. We’re Ready To Give You A Fair Offer For Your House. Need to sell your house fast? We are the local “We Buy Houses In Chandler Arizona” company. If you want to sell your Chandler house for any reason, we will make you a fair no-obligation all-cash offer. We even pay all closings costs. We purchase homes in Chandler and the surrounding areas. Do You Want To Sell Your House In Chandler? 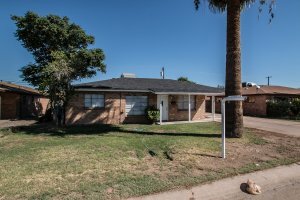 When you want to sell your Chandler house, you can call your local real estate investors. Phoenix Home Buyers Group will make you a no-obligation cash offer for your house. We have been investing in the Valley of the Sun since 2006 and consider ourselves one of the most mature companies in the real estate investing field. We buy houses in Chandler, Gilbert and all other East Valley cities. We help homeowners like you sell for all kinds of situations. Regardless if you are going through foreclosure, divorce, inherited a property or probate, burdensome rental property or for any other situation, we are here to help. Stop all your frustrations now and let us buy your Chandler house from you regardless of condition, price or location. Our company understands very well that selling your home the traditional way is a very long and tiring process. We want to make it as easy for you as possible. We have been investing in the Valley of the Sun since 2006 and are one of the few market experts in the Greater Phoenix area. By now you’ve probably run into a few roadblocks when trying to sell your Chandler house. You may have called a Realtor to try and help you sell the house. You may have even tried listing it yourself (FSBO). Sometimes selling a house the traditional ways is not the best and fastest way. We are not here to represent you as Realtors. We are professional home buyers and we have the local knowledge to successfully buy your house fast. We have the resources and funds necessary to close on time, every time. We use 3rd party reputable title companies such as Security Title and American Title Agency. We also utilize our own funds so there will never be any financing contingencies. As most home sellers find out, there are many pitfalls when you try to sell your house through a licensed real estate agent. You will have to clean up the property so it shows well to potential buyers, be disturbed whenever someone wants to see your house, and also sign legal documents tying you to that specific agent until he finds you a buyer. As a homeowner, you have very limited knowledge of what the agent is doing trying to sell your house. Don’t gamble on your family’s future trying to get a possibly slightly higher selling price… save your time, energy and holding costs and call us today to find out how much we can pay you for your house. We will provide you a guaranteed offer and can close within just a few days.